You may not think twice about seeing a sign language interpreter in a classroom, meeting, conference, or training session, but what about onstage at a musical or concert? What does it look like? Performance in sign language gives interpreters a chance to sing with their hands, mind, body, and heart which takes artistry and creativity. 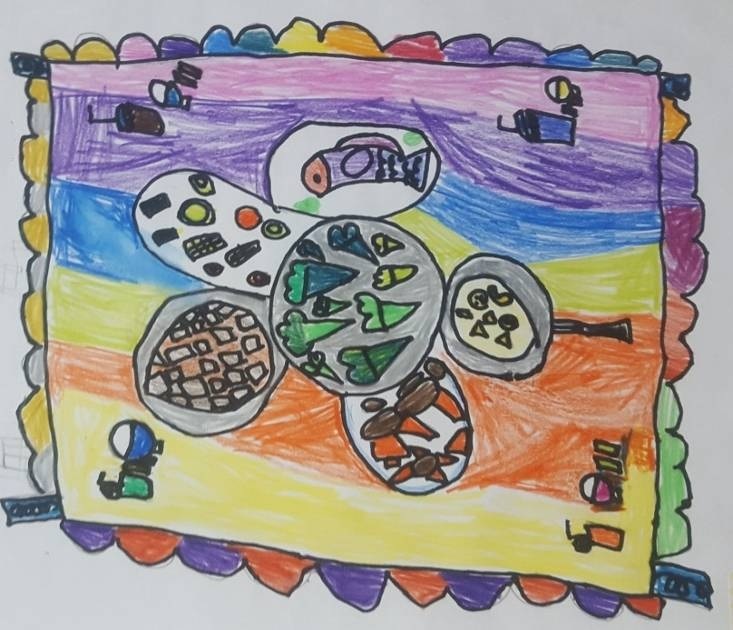 It’s an art to enjoy! Here are just a few examples of sign language performances taken from Tiffany Hill and Bjorn Storm’s channels on YouTube. Check them out and see how talented interpreters can combine signing, acting, and rhythm to capture the meaning and feeling of any song. Yesterday evening Monterey Language Services had the unique opportunity to help spread some holiday cheer by providing ASL interpretation in a performance setting. When a local children’s theater group reached out wanting to include the deaf community in their upcoming Christmas musical, one of our interpreters happily joined the cast to teach them the lyrics of the show’s finale in ASL. Even with no sign language experience, the 35 kids learned quickly and had a blast. Now when they take the stage they’ll be able to share the song’s message of happiness, warmth, and joy with their friends in the deaf community. Everyone deserves that on the holidays, and we were thrilled and grateful to the theater for allowing us to be a part of their wonderful idea. Monterey Language Services is committed to bridging the world’s languages by providing quality, professional and efficient translation & interpretation services in over 175 languages. 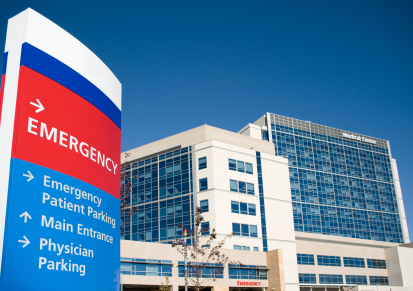 When it comes to American Sign Language, we specialize in highly technical meetings and trainings, for example: JAVA training sessions for engineers, CPR first aid training for firefighters, brain injury medical seminars, along with doctor’s visits and performance events. Please feel free to request a quote from us. 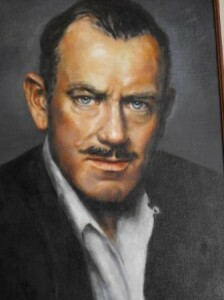 Translators often use different techniques to produce a high-quality, natural translation. 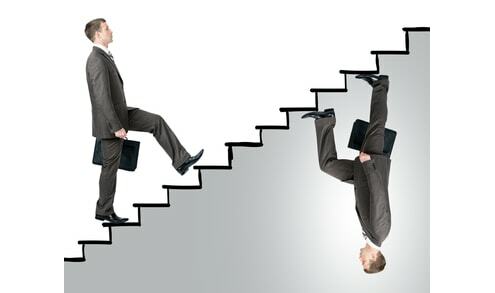 Experienced translators may even apply them so freely and flexibly that they forget they’re even using a special technique or strategy. 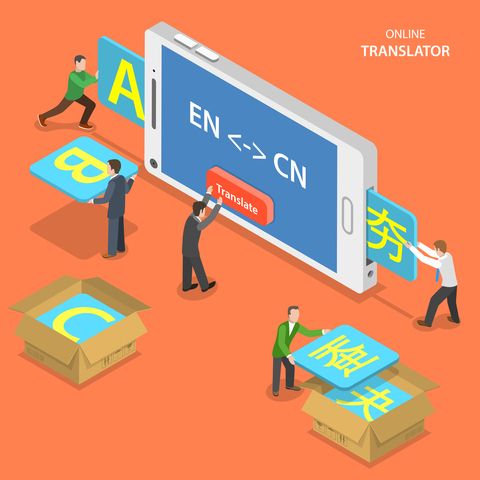 This blog breaks down three of the most frequently used translation strategies: detour translation, repetition, and addition. Because of the differences between two languages, a direct word-for-word translation is not always possible, and translators may have to find another way around – make a translation “detour.” For example, the source language may prefer affirmative statements (like “Staff Only” in English) while in the target language it is much more natural to use a negative statement for the same idea (like闲人免进 or “Non-staff not allowed” in Chinese). This sign could of course be translated literally, but the result would be something that is not idiomatic, natural Chinese. In situations like this, translators would use the detour strategy. To avoid misunderstanding and make the meaning clear, translators frequently use repetition as a technique. In English, pronouns such as “he,” “she,” “it,” etc., avoid repetition by referring to things that have already been mentioned. Chinese, however, does the opposite and usually repeats the original words rather than replace them with pronouns. For example, in translating a sentence like “George put his bag on the table, which is in the middle of the room,” a translator working into Chinese would repeat the word “table” where English replaces it with “which.” Repetition can also be crucial to preserve the style of a source text in which the author repeats specific words to create a certain effect. To make a translation acceptable in the target language, translators may need to add more information. For example, when translating “ease the tension between the two countries” into Chinese, translators need to add the word “situation” (i.e. tense situation) to make the translation complete. A proper translation is “缓解两国之间的紧张局势.” Addition is important when translating culture-specific words or expressions because additional explanation is needed to help readers who aren’t familiar with the source culture. In a case like this, a translator may even need to provide a footnote to provide additional information without cluttering up the main text. The ultimate goal for a translator is to translate the source text’s meaning simply and clearly. The above strategies and techniques can help produce more idiomatic translations, and are a required part of every translator’s toolkit. Based on their job title, it’s easy to think that a translator’s only duty is to translate, but a good translator also needs to be a skilled editor. 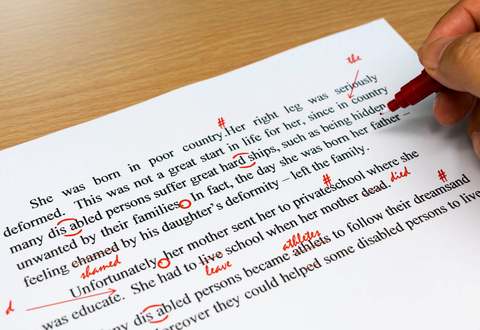 A good translation often goes through several stages of editing, which is just as important as the translation process itself, because it helps refine the work and spot mistakes. But how should we edit a translation, and what should we look for while doing it? Here are some suggestions. It’s possible to be too “close” to your own work. Artists will say that after hours of slaving over a piece of work and still feeling unsatisfied, they have to step away for a while to give themselves some distance. Coming back later with a fresh view, they might instantly see what’s wrong and know where to put the finishing strokes. As a self-editor, translators should do the same: a few days after you’ve done a translation, come back to it and reread it as if it were originally written in the target language – that is, without looking at the source. The combination of a fresh look and reading the target text by itself can help you judge whether the translation flows well in the target language, sounds idiomatic, follows the structure of the source too closely, etc. Taking a fresh look will also help you identify errors in spelling, punctuation, grammar, etc., which you may have missed the first time around. Of course, that doesn’t mean you can completely toss out the source as soon as the first translation draft is done, which brings us to the second suggestion. After reading the translation, the second step is to refer back to the source text to see if there are any meaning errors, omitted information, etc. Avoiding any meaning shifts is always on a translator’s mind, but it’s possible to make them without realizing, which is why comparing the source and target again is necessary. Editing a translation, just like translating itself, requires solid command of both languages in order to feel the subtle differences between them and tell whether the translation is a proper rendition of the source text. Be particularly attentive that terminology is translated correctly, and consistently. Make use of term bases provided by the client or agency, and don’t be afraid to ask for them if they haven’t been given. After making sure the content is all good, the last step is to check formatting and layout of the translation. This often may be as simple as matching font and font size, making sure that a few bold, italic, or underlined words in the source are mirrored in the target, or that a hyperlink is in the proper place. Other documents may be formatted in a more complex way, with tables and images which need to be properly recreated or inserted. The fundamental aspect of producing a translation may be, well, translating, but skilled and careful editing is also imperative. How many authors can write a novel without ever looking at what they’ve written? Following the above three steps will provide a good basis for editing a translated work properly in order to get it ready for delivery. 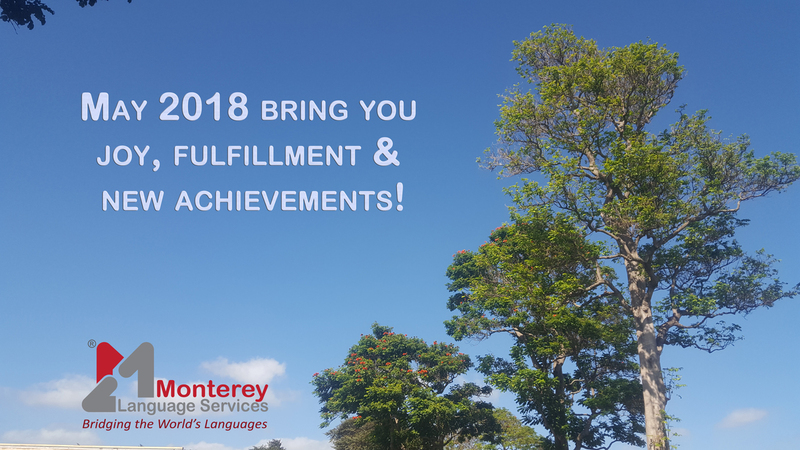 Monterey Language Services wishes all students of the Middlebury Institute success in their coming careers, and looks forward to working with the next generation of translators, interpreters, and localization managers! Monterey Language Services will be at the Middlebury Institute of International Studies’ annual Translation, Interpretation, and Localization Management Career Fair, which kicks off at 9:00 AM on Friday March 3 and finishes up at 12:30 PM. This year we’re doing it a little differently! Of course we’ll be collecting resumes, talking to students, and describing our exciting internship opportunities, but we also want to make it a fun event and help students shed some stress – that’s why we’ve decided to really put the “fair” in “career fair!” We’ll be giving out raffle tickets at the Monterey Language Services booth, with a $25 gift card prize for each of our three winners! Nervous about talking to us as employers? Don’t be, relax, and come on up! We’re serious about our work, but easy-going in person. We want students to feel comfortable and relaxed at our booth: that’s the best way to meet and get to know new people, and we want to meet you and hear about your unique skills and experience. It may be business as usual at the other booths, but with Monterey Language Services it should be an unforgettable time for everyone who steps up. Come by our booth, tell us about yourself, and we’ll do the same. 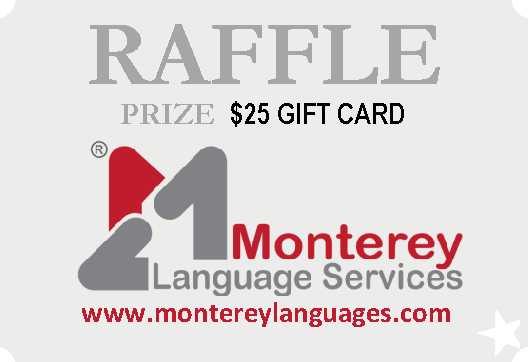 Don’t forget to take one of Monterey Language Services’ raffle tickets, you may be the lucky winner of a $25 gift card! And don’t forget to tell your friends and fellow classmates! Translators and interpreters are synonyms in some ways: both need to have a good command of at least two languages in order to do their job. Both decode what’s in the source language and then encode it in the target language. Both are cross-cultural communicators, whose final goal is to tear down language barriers and facilitate communication. However, by industry standards, they also have their own distinct professional traits. What do interpreters do that translators don’t? 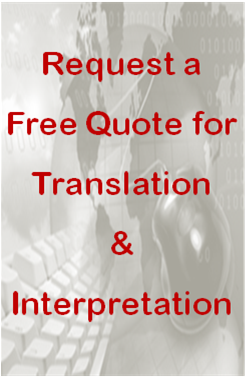 What does a translator need that an interpreter can do without? How different are they really on the job? Here are just a few of the things that set translators and interpreters apart from each other. Professional translators and interpreters sometimes forget that many people outside of the industry often don’t even realize that these are two different professions. To put it as simply as possible, translators write while interpreters speak. A translator takes a text in one language and rewrites it in another language. Interpreters, on the other hand, listen to what someone says in one language and then convey it by speaking in another language. The fundamental difference in their respective lines of work is this: a translator usually does not speak at a job, but must have excellent writing skills, with all the things this implies: perfect punctuation, spelling, grammar. A successful interpreter needs all the skills required of a good public speaker, delivering messages clearly by speaking. Translators in general enjoy the luxury of having more time, but that also means they have to be skilled at personal time management and able to focus deeply on one thing for an extended period, whereas interpreters must be quicker on their feet, able to tune out distractions, and have strong multi-tasking skills. Translators and interpreters have different tools in their arsenals, and work in different environments. A modern translator is computer savvy and skilled with the leading translation software (MemoQ, Trados, Wordfast, Déjà Vu, etc). Translators often have more freedom in terms of where they can do their work, and since translation requires a great deal of focus and time, this means a comfortable space free from distraction, whether it be a home office or a space at the agency or company a translator works for. Interpreters, by contrast, have much less personalized work areas, since they generally work in spaces that are not their own, although there are interpreters who work over the phone or through video calls from home. Interpreters in many cases also don’t own the equipment they work with: simultaneous interpretation requires microphones, audio transmission equipment, receivers, and headphones, but these are generally provided by the translation company or the client. Interpreters working in the consecutive mode have a more modest toolbox which usually includes just a pen and a notebook. Recently, tablets and digital pens with special features have been making their way into consecutive interpreters’ kits, but are not yet widespread. Interpreters work under great pressure because what’s being said needs to be interpreted immediately, which doesn’t leave much time to think. For interpreters, time is very precious. If they spend too much time on a certain sentence or word, they run the risk of missing important information that follows. By comparison, translators are not under immediate pressure but incremental pressure. They spend a long time refining their work and even invite others to edit and proofread it in order to ensure that the final product is as flawless as possible.